Some folks might wonder why authors give online interviews. The obvious reason is it's a way to publicize our books, but that's not the only reason. Interviews are also a way to make contacts, not only with other authors, book reviewers and interviewers, but also with readers who may never have heard of us before. Okay, this is a form of publicity, too. However, it's also a matter of connecting with people and building friendships. Like many authors, I'm basically a recluse. I like sitting at my computer with only my cats for company. It's in my nature to enjoy being alone with my thoughts. How else could I write? Yet, this does make for a rather lonely life at times. That's when the internet becomes an outlet, an escape if you will. Since publishing my first book in 2010, I've met many wonderful people on Facebook, Twitter, author chat rooms and my own blog sites. Interviews and guest posts for other bloggers widen this circle of online friends. We may never meet in person, but it's nice to know we are there for each other on the occasional down day. I hope you are having a wonderful day! If you visit Big Al's site, please say hi to me. I'd love to meet you. I first became interested in poisons years ago from reading Agatha Christie’s mysteries. I still love her books and am fascinated with poison. Many plants have medicinal qualities and other seemingly innocent lovelies can be deadly. For instance, in Alexander Dumas’ THE COUNT OF MONTE CRISTO, oleander leaves are ground and incorporated into food to murder. Foxglove can heal or kill, depending on how it is administered and to whom. While researching, I pour through books like DEADLY DOSES from Writers Digest Book and old herbals. My eldest daughter fed my fascination with HERBS AND THINGS by Jeanne Rose, a book on remedies that gives both friendly and unfriendly plants and their uses. Before current forensic tests, poisoners had more freedom. Pathologists’ tests uncover most poisons and create a hardship for villains. Since my current trilogy is historical, my villain is safe from sophisticated forensics. Of course, many poisons leave tell tale signs that even a medieval physician could detect. All readers know that cynaide leaves a distinctive smell and coloration of the victim’s lips for a while after death. Advanced arsenic poisoning colors the fingernails at the base. Can you believe women used to use arsenic to control their weight? I’d love to be thin, but not that way! For my current Men of Stone Mountain trilogy, I studied poisons available in the Southwest where the book is set. In the first of my trilogy, BRAZOS BRIDE, heroine Hope Montoya is being poisoned. She doesn’t know the killer’s identity or type of poison, but she is an intelligent woman and deduces the poison is administered through her food and/or her tonic. Although she is severely weakened by the contaminate, she devises a plan to escape and gain an ally. The key is to convince Micah Stone to wed her in a temporary marriage of convenience. What would convince him? Although in truth we’re saturated here in North Central Texas, often that’s not the case. A drought has Micah’s cattle dying for lack of water. WWA Spur Award for Best First Book! 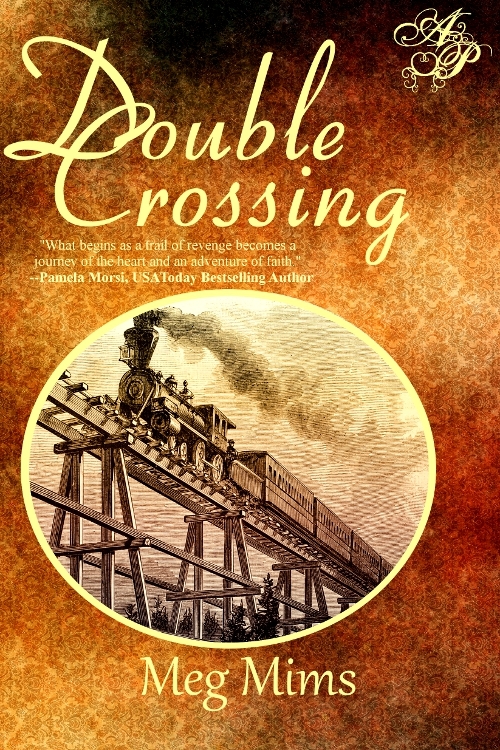 I was *stunned* to receive the news that DOUBLE CROSSING won the 2012 Best First Book Spur Award from Western Writers of America! And I am HONORED to be in such great company of fabulous western writers -- me, a lifelong resident of Michigan! I must admit, despite being an "Easterner," I started watching western TV shows and movies as a child. I read the entire Little House series by Laura Ingalls Wilder several times, and Willa Cather's O Pioneers. I walked to the local theater in 1969 by myself to see True Grit with John Wayne. The panoramic scenery mesmerized me, the authentic dialogue floored me, the gritty determined heroine Mattie Ross gripped me in a fresh way. And when I read Charles Portis' novel years later in college, I understood the heart of the American west. Courage and integrity, loyalty and yes, grit, formed our thoroughly unique western culture. I wanted to showcase the many aspects of that culture after several years researching the history of the transcontinental railroad, which always fascinated me. I read another wonderful book, originally published in 1870, Westward by Rail, by the Englishman William Fraser Rae, depicting his trip from New York City to Sacramento, and that also helped water the seeds planted long ago. I created a heroine different from Mattie Ross--but similar, in a way. Lily Granville is a sheltered young woman, but just as stubborn and determined to track her father's killer. I enjoyed writing and revising my manuscript, taking care to add as much western flavor and excitement as possible. 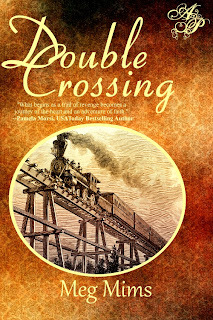 When Astraea Press offered me a contract for Double Crossing in April of 2011, I was thrilled. Last year opened my eyes to how tough the publishing business really is. I had to work even harder than before to get my book noticed. And I'm working on a sequel, Double or Nothing. If my work has landed among the great books from the likes of Larry McMurtry, Tony Hillerman, Loren Estleman, Stephen Harrigan and Johnny Boggs, I want to make certain this win isn't just "greenhorn luck!" Here's some information about DOUBLE CROSSING. Enjoy the ride, and keep a spur handy! Armed with a clever box crammed with thread, needles and a tiny pair of silver folding scissors, I wandered the back aisles. A leather money belt caught my eye, with firm stitching and eight compartments. Dodging a row of sturdy butter churns and stacked washboards, I placed the belt on the counter along with an oilcloth cape and several green apples. Once I paid the bill, I scurried to a quiet corner away from the few remaining shoppers. Shiny snaps on the wide belt secured each compartment. I adjusted it around my waist and tugged my suit jacket to hide its bulk. Perfect! I glanced around for a mirror and then froze, staring at my feet and then behind me. My pocketbook was nowhere in sight. I thought I’d wedged the leather two-handled bag between the crates of saltines at my elbow. Frantic, I searched the entire corner and each aisle of the shop in vain. Fear gripped me in a stranglehold. My expensive Pullman ticket, stolen! My hands shook and I had trouble thinking straight for a full minute. I opened the pocketbook’s clasp and glanced inside. Everything was intact, even my precious Pullman ticket and all my money. I murmured a prayer of thanks until realizing that my sketchbook was wedged upside down, on the wrong side. My black-edged handkerchiefs were crumpled on the bottom as well. Someone had searched the contents. Someone who followed me from the hotel. Some stranger from the train, or Emil Todaro himself? A shiver raced up my spine. It couldn’t be possible. Or could it? Had I underestimated him again? Instead of being the hunter, was I now the prey? Available in print or e-book at my publisher Astraea Press, through Amazon and Barnes & Noble. 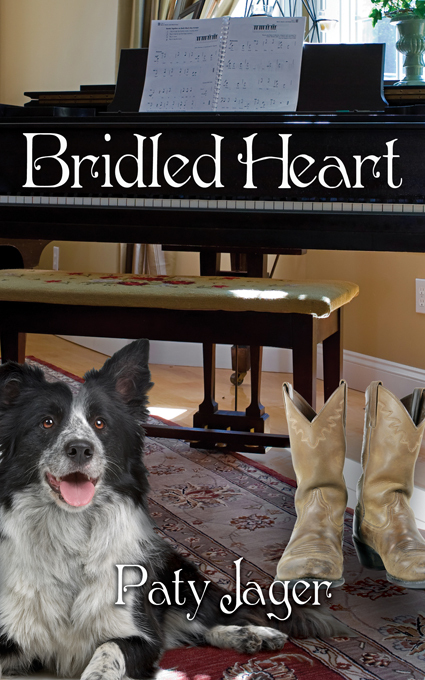 If you've read my contemporary western romance Bridled Heart it's up for best Western Romance of 2011 at The Romance Reviews and I'd appreciate a vote. http://www.theromancereviews.com/bookvote.php Scroll down as it's clear at the bottom of the list. If you haven't read it you have until March 31st to vote. And can find it in print or e-book at my publisher The Wild Rose Press or at Amazon, Kindle, and Nook. I'm so happy that Cowboy Kisses has now become the home of a dozen western authors. In order to keep the blog stimulating and something followers will enjoy, I enlisted the help of the "Cowgirls" listed in the participant line-up in the right side margin. You can also click on their individual tabs above and find out more about each of them. We still will entertain guests as time permits, so for the time being, use my email address as shown in the sidebar to request a spot. Speaking on behalf of my new blogmates, thanks for joining us, and ya'll come back. Well, I'm not exactly sharing kisses, but what is happening is that Cowboy Kisses is becoming a group effort between several western historical authors. In this way, we hope to bring you an array of books, articles, and information about our favorite genre that will keep you coming back. I've already added the tabs of those who will be creating their own personal author page here, and listed the participants with links to their own sites in the right sidebar. As the group continues to grow, I'll keep adding to the list. Cowboy Kisses may not always be about romance, but you can bet there's a western theme somewhere in the story. We'll also still entertain guests, so anyone interested in being one, western historical related posts are always welcome here. My email is posted as the contact person in the sidebar, so just drop me a line. Announcement: Yellowstone Heart Song is FREE on Amazon 3/15 and 3/16 get your copy here! My guest today is a superb author of historical novels, and someone who pays great attention to detail when showing her novels to the reader. Today, she's sharing what works for her. Welcome, Jannine, I'm so happy to have you join us. I plan to read and learn. Writing and Researching: Which Comes First? Does your story begin with an idea? Certain characters? A location? Should you research before you begin to write? Or does it matter? Each writer will answer these questions differently. For me, envisioning my hero is the first inkling of a new story. The research and location help to mold who the hero is or will become. Researching any historical novel requires diligent work, often long hours of sifting through library book stacks, searching online, and referring to books in your home library. Whether I’m writing a western or a medieval, I’d never get through the book if I didn’t put several months into researching every aspect and more of the time period. But I do find gathering information and writing an American Western much easier than writing a medieval because the late 19th century seemed similar to ours, with the obvious exceptions. How do you begin your research? Mine starts with the three basic needs: hero, heroine and setting. In REBEL HEART, I envisioned an ex-gunfighter who was at one time on the wrong side of the law because of the “bad guys.” I saw his character as crass, having a chip on his shoulder, and silent but blunt when he did speak. Above all, he had to have a good heart even though his rough, unapproachable demeanor didn’t allow for an outward display of kindness. His caring nature came through in his actions. The heroine needed to be the opposite of the hero, so she came west from a wealthy New York family, seemingly pampered but not afraid to get her hands dirty. And she had to have patience with the man who steals her heart. The setting for the novel was easy: I’ve always had a strange connection with Santa Fe, New Mexico. A “past life” type of connection. With those three things in place, I began researching the 1870s for reasons I can’t recall. When I discovered the range wars were heating up, the plot started to unfold. The heroine inherits a sheep ranch. The bad guy is a cattle rancher. And the hero, with his secretive and dark past, gets caught up in the middle. I learned everything I could about sheep ranching. There’s no doubt in my mind I could have worked on a sheep ranch with no problem. <g> The rest of the story gelled because the research led me down one path after another, throwing ideas at me left and right. When the woman he's sworn to protect finds herself in the middle of a range war, Beau Hamilton fights against losing his heart while defending Courtney Danning against the unscrupulous man fixing to run her out of town. But when their passion turns as hot as the Santa Fe sun, will their love in the untamed West prevail? Or will Beau's dark past tear them apart? In LOVE’S SWEET WAGER, the gambler hero burrowed into my mind. The heroine’s father was a cheating gambler, and the hero is accused of murdering him over a card game. But in this book, the setting wasn’t solidified until I found a book (in the form of a diary) about the California Trail. The doctor who wrote it detailed each stop the wagon train made, the date, the weather, what they did when they made camp, as well as the trouble they encountered along the way. The decision to use the doctor’s diary was a no brainer. Actually, I believe it was a fortuitist find. Her gambler father murdered, Rachel Garrett joins a wagon train west to be with her aunt and the fiancé she's never met. Her dream is to forget the life she led performing on stage to earn the money her father gambled away and settle down in one place. But along the trail, she is helplessly drawn to a priest--forbidden fruit--and her hopes are shattered. Professional gambler Reno Hunter is wanted for the murder of James Garrett. His disguise as a priest on a wagon train is foolproof, until he discovers the woman the old gambler wagered in that fatal card game and Rachel Garrett are one and the same. Can he protect his identity and his heart, or will he surrender to his desire for Rachel and risk being apprehended by the law? I believe I had written about how I came by the hero’s name in another blog. But for those who didn’t read it, here it is again. What perfect name for a gambler than Reno? People gamble in Reno, Nevada. It made sense to me. As for Hunter, well…women cannot help but be attracted to the hero. Even though he didn’t have to go far to find a female to keep him company at night, I thought the idea of a hot man on the prowl would be akin to a hunt. I know, it’s lame, but that’s how I saw the hero for this book. Actually, there’s another reason: Reno was always on the hunt for another card game. Now that one makes more sense, lol. I’ve been focused on medievals for last several years. I’m itching to get back into the saddle, so to speak. My entire being screams, “I need to lose myself in a historical western (hero <g>)!” Before I can do that, I have an obligation to write two more full-length medieval novels, one completing a four-book series, the other the third book in a trilogy. They’ll likely take all of 2012; that’s including ample time for research. While the hero is high on my list when I think up a new story, what gets you motivated to create a novel? I’d love to know. I’d like to thank Ginger for having me as a guest on Cowboy Kisses. It’s always fun to be on blogs. 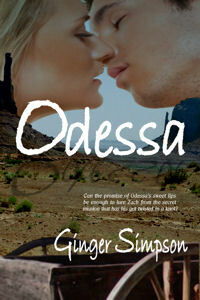 Thank you, Ginger, for having me as your guest on Cowboy Kisses. Your readers love western novels or they wouldn’t check this blog, so I’m excited to be communicating with like-minded souls. Yeehaw! Loving the West began as a child. My dad loved history and regaled us around the dinner table each night with stories of his family after they came to Texas from Georgia in 1876. Dad was a wonderful storyteller and those events sprang to life in my imagination. He only had so many stories, of course. Even though I memorized them early on, I begged him to tell them again. Not that I wish I’d lived then! Not even on that Lone Ranger set where he and Tonto camped by that same rock in every show, no matter where they were supposed to be. I like my life now, thank you very much. But I am always pleased to escape to the Old West in books or writing. Another factor drawing me to the Old West were the movies featuring Hollywood’s version of cowboy life. Although I must have seen them earlier than age eight, that’s when I first remember sitting through Roy Rogers’ movies on Saturdays while my mom did laundry and bought our week’s groceries. He was my ideal man and I dreamed of riding the range with him, rounding up rustlers and bank robbers and saving the West from all outlaws. How sad I was to learn he’d actually been married to that hussy Dale Evans all the time I’d pined from him. Sigh! Several excellent history teachers deepened my love for Texas history. Government classes sent me into a stupor, but I lived for the history portion of social studies. Now I use Fehrenbach’s LONE STAR: A HISTORY OF TEXAS AND TEXANS and too many other references to count or list here. These books surround my writing desk and make reference easier. Of course, the worldwide web includes an endless supply of other reference material. My husband introduced me to novels of Louis L’Amour and Tony Hillerman and those books deepened my love for the Southwest. We’ve read (and saved) each of them. One part of research I love is taking historic tours. Fortunately, my family shares my passion. With one or more of them in tow, I’ve toured Texas’ vintage homes, ranches, government buildings, a dude ranch, state parks such as Lost Maples State Natural Area near Bandera, and Texas Tech University’s Ranching Heritage Center. Not only are these trips and tours pleasant, they enable me to steep myself in Texas history. 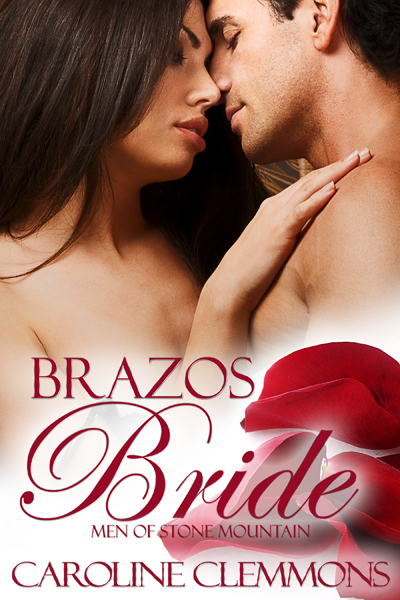 Which is a great segue to tell you about my latest book, a western historical titled BRAZOS BRIDE. Hope Montoya knows someone is poisoning her, but who? She suspects her mother was also poisoned and knows her father was murdered. Who wants her family eliminated? She vows to fight! She realizes she won’t last the eight months until she turns twenty-five and her uncle no longer controls her or her estate. Never will she be dominated by a man as she was by her father, as she has seen her mother and grandmothers dominated. If she marries, she gains control now, but only if she weds a man she can trust. Only one man meets her requirements. Can she trust him to protect her and capture the killer...and then leave? Micah Stone has been in love with Hope since the first time he saw her. But he was accused of her father’s murder and surely would have hung if not for aid from his two brothers. Most in the community still believe him guilty. But the drought has him too worried about water for his dying cattle to care about his neighbors’ opinions. 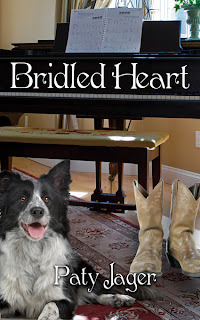 When Hope proposes a paper marriage in exchange for land on the Brazos River and much needed cash, her offer rubs his pride raw. His name may be Stone, but he’s not made of it. Yet he can’t refuse her for long, and so their adventure begins. Thank you again, Ginger, for letting me be your guest here at Cowboy Kisses. A great big kiss to you and each of your readers! My guest today is J.D. Faver. Although she doesn't write the western historicals that are mainly represented here, she's a "western" gal with the right attitude and a eye for Cowboy fashion. I love her covers...talk about sizzle. Check out her blog and website, and take a deep breath before you go. *smile* Oy Vey! Thanks so much for having me as a guest today. I feel right at home on Cowboy Kisses because those are the best kind. <grin> Growing up n a farm in Oklahoma and having spent most of my adult life in Texas, it's only natural that I would feel comfortable in this environment and that I would write about cowboys as heroes. In fact, even my heroes who aren't at home on the range, have that same kind of cowboy mentality. Most of my novels are set in Texas, so wearing boots and a Stetson with a business suit is not at all unusual. If not cowboys, my heroes may be some kind of lawman. My latest release, a romantic thriller, is the first in a series set on the lower Texas Gulf coast and my hero is the sheriff. All kinds of dark and sinister things are going on in this area, both on land and on the water. The close proximity to Mexico adds another layer to the menacing environment. The series is entitled The Borderland and my new release is Bad Medicine, the first in the series. This is the description of the series and a short blurb about Bad Medicine. I also included a short scene in the hero's point of view. THE BORDERLAND: This series is set in South Padre Island, a resort community on the Texas Gulf Coast close to the Mexican border. In this lush coastal paradise, passions run hot and temptations abound. Contrasting the tropical Eden is a seamy underbelly rife with drug dealers, illegal aliens and human trafficking. Violence looms nearby as conflicts erupt between those determined to keep the peace and those bent on criminal activities. Strong characters lead with their hearts as they plunge into dangerous situations. Unable to escape her past, Chloe Palmer returns to the Texas coast for her murdered father’s funeral and to face Rafael Solis, the man she left behind. Rafael is now sheriff but he never gave up hoping for her return. She inherits her father’s shrimp boat and irascible crew, enabling her to make a living for herself and her young daughter. Rafael’s passion breaks down her emotional barriers, but her impetuous nature draws her into a cruel vortex where she runs afoul of old and new enemies. Previous rivalries emerge, pitting Rafael against a former classmate who is the heir-apparent to a crime dynasty. His sister, whose lies created the maelstrom that forced Chloe to leave before, is dead set against her brother’s rekindled relationship. She confronts Chloe, but both are kidnapped by the drug runner’s crew in an effort to bring pressure on Rafael. The women are taken offshore, and when the drug runner is released he sends word that Chloe is under his protection. The kidnappers dump the women overboard in an attempt to deny their role. Chloe has no love for Rafael’s sister but chooses to save her, helping her to body surf onto land. Body parts wash onshore as Rafael and Chloe battle an infatuated but vicious drug dealer, kidnappers, and a twisted curandero (Mexican healer). They emerge from the violence with a renewed respect for each other and a commitment to forge a life together. “I’m ready, Boss.” Darla brought the camera into his office. Rafael unbuttoned his uniform shirt and hung it on the back of his chair. When he’d awakened that morning, his sore muscles protested his brilliant idea of letting Manny beat him up once again. But when he’d forced his battered body to rise and inspected the damage in the bathroom mirror, he was sure he’d done the right thing. The bruises on his torso and back ranged from a deep blue-purple to a bright red-violet and there were red abrasions where he’d come in contact with the stairs. Assaulting the sheriff could put Manny away for a long time. “Just take the pictures,” he growled. “Sorry Boss.” Darla held the camera up and snapped the first shot, checking to make sure she’d gotten it framed well. “Raise your arms.” She moved to the side to photograph the bruises on his ribs. “Ida.” Rafael’s voice held a warning. “Nice lats too,” Ida said in a stage whisper. “Enough.” Rafael reviewed the photos Darla had taken before she pulled the memory card and shoved it into a USB port to transfer the shots into a file. She made a set of prints and stamped them with the date and then initialed them before sticking them in a folder. “And how are our guests today?” Rafael slipped his arms into his shirt, grimacing as his muscles objected to the strain. Adriano left to start his first patrol, leaving Rafael to consider his question. The real reason he’d gone after Manny was because he was getting too close to Chloe. After their confrontation in the convenience store, Rafael realized that Manny would always pose a threat to her. He’d come up with a charge that would put Manny away for long enough to cool his passions. If you can't tell from my backlist, historical western romances are my favorite genre to write, although the most challenging. A lot of time and effort goes into writing any story, but I spend even more time researching my work and making sure my historical facts are correct. There is no faster way to lose credibility as an historical author than to refer to equipment not yet invented in your era, or speak in a manner not befitting the time period. In my debut novel, Prairie Peace, I took my first adventure to the Dakota plains. Although cast iron stoves were available, my astute editor pointed out that it wasn't very likely that one would be in a run-down shack in the middle of no where. First they were cumbersome and hard to move, and shacks generally consisted of one large room with a fireplace and hearth where cooking was done. I knew that, but in telling my story, I didn't stop to visualize the obvious. As an author, typing a story doesn't always allow your brain to stop and focus on what fits and what doesn't. This is a real great reason why critique groups come into play. I cannot give enough credit to the ladies in my historical crit group who have caught numerous things that were not historically appropriate for the western era, or suggested that I tweek my language skills a tad. Words as simple as "kids" referred only to goats, so to have a mother refer to her children in that manner was something you wouldn't hear. You certainly would be pulled right out of the story if a pioneer woman fired up a vacuum to clean her rugs instead of hauling them outside to beat them with a straw broom. The images we paint have to put the reader in the moment, and the moment has to be right. In Sparta Rose, I spent a lot of time researching pistols. My heroine goes to the mercantile to buy one in order to teach herself to shoot. Her goal is to best the hero in a contest to win favor with her pa. It was extremely important to gun experts who might read my story that the model I selected by appropriate for a woman's smaller hand while assuring it was one offered for sale in the 1800s. I learned more about guns that I ever expected to know, but there are those folks who read with a critical eye for detail, and you want yours to be spot on. A gun is not just a gun to everyone. In Odessa, although I had creative license with names of characters, I researched Wells Fargo for their stage coach runs, the railroad for the date they came to Phoenix, AZ, and also made sure of the existence of the towns I choose to showcase. Yep, research teaches the author as much as it does the reader, and I love it. I lived in Show Low, Arizona for a while, knew it's history, and I was fascinated about how the name came to be. I used that little tidbit in the story, and I thought it added interest to an exchange between my heroine and a young man she met in the saloon who was from there. For the sequel to Prairie Peace, White Heart, Lakota Spirit, I spent even more time researching the rituals and lifestyle of the Lakota Sioux as my heroine was their captive. I'm fascinated with the American Indian, and this is probably my most favorite topic to delve into. The Sioux, along with most other tribes, were and continue to be very spiritual people who believe that even something as simple of as the number four is symbolic. Visions questions, Sun Dances held in the summer, sweat lodges, women's huts...who could ask for more interesting fodder for books. The secret is peppering the facts into the novel so that the story doesn't resemble a history lesson yet still provides interesting details that put the reader in the time and place. So, you see, there is a lot that goes into creating a novel, especially historical ones that require accuracy in detail. It's always important to make a story as believable as possible...if not the plot, then the personalities of the characters. If the reader cannot connect with those who hold the starring roles, then they are more likely to lose interest. Hooks, conflict, and emotion go a long way to creating the desire to continue turning pages. My goal is to put my readers in the character's shoes and have them feel the emotions, the wind, the pain, smell the aromas, and cry real tears. If I'm lucky, I'll remember to SHOW rather than tell to help them make the connection. As an author, I learn something new almost every day. Have you read any good books lately. Leave a comment and share what about them made them more memorable for you. In case you'd like to give one of mine a try, you can find them all listed on Amazon, most in print and download. Of course, I recommend Kindle cause I'm in love with mine. :) I also have trailers for most of my books posted on my website. It ain't Western, but it's true!